This Independent Contract Agreement is a general starter document for the provision of consulting services. 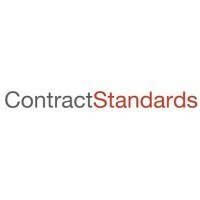 See a checklist of this document and related materials at http://www.contractstandards.com/checklists/ica. This Agreement is made on [AGREEMENT DATE] between [COMPANY NAME] with its principal place of business located at [COMPANY PLACE OF BUSINESS] (the "Company") and [CONSULTANT NAME], located at [CONSULTANT PLACE OF BUSINESS] (the "Consultant"). 1.1 Services. Effective [CONSULTING START DATE], Company shall retain Consultant and Consultant shall provide Company with [[DESCRIPTION OF SERVICES]/consulting services described in the attached Statement of Work] (the "Services"). 1.2 Changes. The nature of the Services may be modified by Company in writing at any time, with the written agreement of Consultant. 2.1 Rate. The Services performed by Consultant shall be performed at the rate [of [CONSULTING SERVICES FEE]/set forth in the Statement of Work] [and not exceed the total estimated amount specified in the Statement of Work]. 2.2 Invoices. The Consultant shall deliver invoices to the Company [bi-weekly/monthly] [after performance of the Work]. 2.3 Payment. Payment shall be due [PAYMENT DUE DAYS] business days after receipt of invoices. 2.4 Withholding. Company shall not be responsible for federal, state and local taxes derived from the Consultant's net income or for the withholding and/or payment of any federal, state and local income and other payroll taxes, workers' compensation, disability benefits or other legal requirements applicable to Consultant. 3.1 Reimbursement. Company will reimburse Consultant for all pre-approved, reasonable and necessary expenses, including, without limitation, domestic and foreigntravel, lodging and meal expenses incurred by the Consultant in connection with performance of the work. 3.2 Substantiation. The Consultant shall promptly provide Company with documentation supporting all such expenses. 3.3 Payment. The Company will reimburse Consultant promptly following Company's receipt of a request for reimbursement from the Consultant. 4.1 Status. Consultant is an independent contractor of Company. Nothing contained in this Agreement shall be construed to create the relationship of employer and employee, principal and agent, partnership or joint venture, or any other fiduciary relationship. 4.2 No Authority. Consultant shall have no authority to act as agent for, or on behalf of, Company, or to represent Company, or bind Company in any manner. 4.3 No Benefits. Consultant will not be entitled to worker's compensation, retirement, insurance or other benefits afforded to employees of Company. 5.1 Authority. Consultant has the full right to allow it to provide the Company with the assignments and rights provided for herein. 5.2 Performance. The Services will be performed in a professional and workmanlike manner and that none of such Services or any part of this Agreement is or will be inconsistent with any obligation Consultant may have to others. 5.3 Original. All work under this Agreement shall be Consultant's original work and none of the Services or Inventions or any development, use, production, distribution or exploitation thereof will infringe, misappropriate or violate any intellectual property or other right of any person or entity. 6. Confidential Information. Contractor and its employees shall not, during the time of rendering services to the Company or thereafter, disclose to anyone other than authorized employees of the Company (or persons designated by such duly authorized employees of the Company) or use for the benefit of Contractor and its employees or for any entity other than the Company, any information of a confidential nature, including but not limited to, information relating to: any such materials or intellectual property; any of the Company projects or programs; the technical, commercial or any other affairs of the Company; or, any confidential information which the Company has received from a third party. 7.1 Acknowledgement. 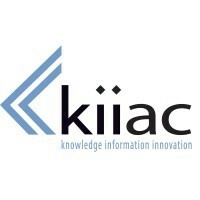 During the course of performing the Services, Consultant's directors, officers, employees, or other representatives may, independently or in conjunction with Company, develop information, produce work product, or achieve other results for Company in connection with the Consulting Services it performs for Company. 7.2 Ownership. Consultant agrees that such information, work product, and other results, systems and information developed by Consultant and/or Company in connection with such Services (hereinafter referred to collectively as the "Work Product") shall, to the extent permitted by law, be a "work made for hire" within the definition of Section 101 of the Copyright Act (17 U.S.C. 101), and shall remain the sole and exclusive property of Company. 7.3 Assignment. To the extent any Work Product is not deemed to be a work made for hire within the definition of the Copyright Act, Consultant with effect from creation of any and all Work Product, hereby assigns, and agrees to assign, to Company all right, title and interest in and to such Work Product, including but not limited to copyright, all rights subsumed thereunder, and all other intellectual property rights, including all extensions and renewals thereof. Consultant further agrees to provide all assistance reasonably requested by Company, both during and subsequent to the Term of this Agreement, in the establishment, preservation and enforcement of Company's rights in the Work Product. 7.4 Moral Rights. Consultant also agrees to waive any and all moral rights relating to the Work Product, including but not limited to, any and all rights of identification of authorship and any and all rights of approval, restriction or limitation on use, and subsequent modifications. 7.5 Return of Property. Upon the termination of this Agreement, Consultant agrees to deliver promptly to Company all printed, electronic, audio-visual, and other tangible manifestations of the Work Product, including all originals and copies thereof. 8. Non-Solicitation. During the term of this Agreement and for a period of [NON-SOLICITATION PERIOD] following the termination of this Agreement, [(i) Consultant agrees not to hire or attempt to hire any employee, Consultant, Sub-Consultant or other agent of Company] ]and (ii) Company agrees not to hire any Consultant personnel furnished by Consultant hereunder, without express written consent of the Consultant]. (c) any act or omission of Consultant in connection with the Work. 9.2 Notification. Company will promptly notify Consultant of any claim for indemnification. 10.1 Coverage. Throughout the term of this Agreement, Consultant shall maintain workers compensation insurance in the amount required by statute and comprehensive general liability insurance with coverage of at least [INSURANCE COVERAGE] per occurrence for bodily injury, property damage or other losses in connection with the provision of Services by Consultant pursuant to the terms of this Agreement. 10.2 Additional Insurance. The Consultant acknowledges that a given project may require additional insurance and such additional insurance shall be set forth on the applicable Statement of Work. 10.3 Proof of Insurance. At Company's request, Consultant shall provide certificates or other acceptable evidence of insurance evidencing the foregoing coverage and shall provide Company with prompt written notice of any material change to the same. 11. Term. This Agreement shall commence on the date and year first above written and shall continue for a period of unless earlier terminated in accordance with the provisions of this Agreement. 12.1 Notice of Termination. This Agreement may be terminated by either the Company or the Consultant at any time prior to the end of the Consulting Period by giving [TERMINATION NOTICE PERIOD] written notice of termination. Such notice may be given at any time for any reason, with or without cause. 12.2 Payment upon Termination. The Company will pay Consultant for all Services performed by Consultant through the date of termination. 12.3 Survival. The [Confidentiality, Intellectual Property, Non-Solicitation, and Indemnity] terms shall survive the expiration or earlier termination of this Agreement. 13.1 Entire Agreement. This Agreement constitutes the entire agreement between the parties, and supersedes all prior agreements, representations and understandings of the parties, written or oral. 13.2 Counterparts. This Agreement may be executed in counterparts, each of which shall be deemed to be an original, but all of which, taken together, shall constitute one and the same agreement. 13.3 Further Assurances. The parties shall execute such further documents and do any and all such further things as may be necessary to implement and carry out the intent of this Agreement. 13.4 Assignment. This Agreement may not be assigned by Consultant or the rights granted to or obligations imposed upon Consultant transferred or sublicensed by Consultant, without the express prior written consent of Company. 13.5 Amendments. This Agreement may be amended only by written agreement of the parties. 13.6 Governing Law. This Agreement shall be governed by and construed in accordance with the laws of the State of [STATE OF GOVERNING LAW], without regard to its conflict of laws rules. 13.7 Disputes. Any controversy or claim arising out of or relating to this Agreement or any breach thereof shall be settled by arbitration in [CITY], [STATE] to be conducted in accordance with the Rules of the American Arbitration Association. The determination of the arbitrator in such proceeding shall be final, binding and non-appealable, and judgment upon the award rendered by the arbitrator may be entered in any court having jurisdiction thereof. The prevailing party shall be entitled to reimbursement for costs and reasonable attorneys' fees. 13.8 Waivers. A failure or delay in exercising any right, power or privilege in respect of this Agreement will not be presumed to operate as a waiver, and a single or partial exercise of any right, power or privilege will not be presumed to preclude any subsequent or further exercise, of that right, power or privilege or the exercise of any other right, power or privilege. 13.9 Severability. In the event that any part of this Agreement shall be declared unenforceable or invalid, the remaining parts shall continue to be valid and enforceable. 13.10 Notices. All notices permitted or required under this Agreement shall be in writing and shall be delivered in person or mailed by first class, registered or certified mail, postage prepaid, to the address of the party specified in this Agreement or such other address as either party may specify in writing. Such notice shall be deemed to have been given upon receipt. 13.11 Headings. Headings are inserted for convenience of reference only and are not intended to be part of or to affect the meaning or interpretation of this Agreement.